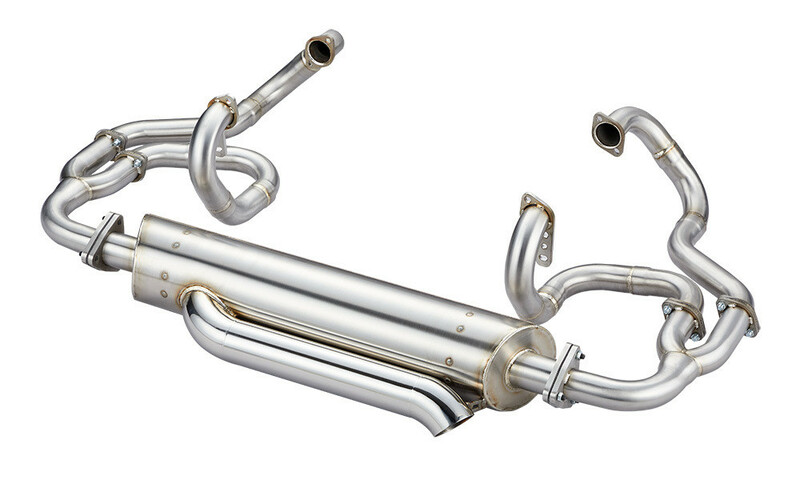 2: Muffler Diameter Options of 150mm for Max Power and Quiet. 5: X-pipe SUPER FLOW Muffler chamber. 7: Clear T2A traction bars. 9: Extra support brackets bolt from flange to flange.